Paulo Coelho de Souza was born on the 24th August 1947, in Rio De Janeiro, Brazil, and is a writer, best known to the world as the author of such books as “The Alchemist” (1988), which has been translated into 80 languages, “Veronica Decides to Die” (1998), “The Witch of Portobello” (2006), and “Adultery” (2014), among others. So far, his books have sold more than 210 million copies, and he has earned numerous prestigious awards, including the Crystal Award by the World economic Forum. Have you ever wondered how rich Paulo Coelho is, as of late 2016? According to authoritative sources, it has been estimated that Paulo`s net worth is as high as $500 million, an amount earned through his successful career as a writer. Paulo`s early life was quite odd, at least; his parents were devoted Catholics, which resulted in Paulo accepting the faith, even if he didn`t want to in the beginning. His father was an engineer, while his mother was a housewife. While growing up, Paulo aspired to become a writer, and when he told his mom about his desires, his parents put him in a mental institution. He spent four years in the facility, from which he broke out of several times, before he was released. Afterwards he enrolled in law school, and attended classes for a year before he dropped travel through Europe and North Africa as well as South America – the hippie trail – experimenting with drugs. However, he returned to Brazil and started working as a songwriter, collaborating mainly with such South American stars as Elis Regina, Rita Lee and Raul Seixas. He was developing his writing too, and also worked as a journalist, actor and theatre director before pursuing his writing career. His first book was published in 1982, entitled “Hell Archives”, but brought little attention. 1986 was the epiphany year for Coelho, as he completed the Camino, the 500-plus mile walk on the Road to Santiago de Compostela, located in northwestern Spain; during the walk, he experienced, as he described it, a spiritual awakening, depicted later in his autobiographical book “The Pilgrimage”, published in 1987. He then wrote and published ‘The Alchemist”, which initially didn`t make an impact on the world`s literati, however, after his book “Brida” (1990), published through a larger and more successful house in Brazil, his career reached a whole new level; soon Harper Collins decided to reissue “The Alchemist”, and in no time, the book became a first Brazilian bestseller, and not only that, it subsequently sold more than 80 million copies and in 80 languages, making it the hallmark of Coelho`s early career, and of his growing net worth. Since then, Coelho has written a number of best-selling books, including “By the River Piedra I sat Down and Wept” (1994), “The Fifth Mountain” (1996), “Veronika Decides to Die” (1998), “Eleven Minutes” (2003), “The Zahir” (2005), “The Winner Stands Alone” (2008), and “Aleph” (2010), among many others, which have increased his net worth significantly. Regarding his personal life, Paulo has been married to Christina Oiticica since 1980. He is now a devoted Catholic, attends Holly Mass regularly, and is a well-known supporter of the Church and its charitable organizations. 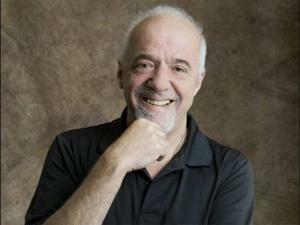 He founded the Paulo Coelho Institute, which is focused on improving the life of children and the elderly. 1 Don't waste your time with explanations; people only hear what they want to hear. 1 Has sold over 86 million books in over 150 countries and his works, which include "The Alchemist", "The Pilgrimage", "Eleven Minutes" and "Veronica Decides to Die", have been translated into 56 languages. 2 After abandoning his studies at a law school in 1970, he traveled throughout Americas and Europe. 3 Big supporter of the Brazilian national soccer team. 4 Lives in Rio de Janerio and Tarbes, France. 5 Although being the first non-Moslem occidental writer who has traveled to Iran since the Islamic revolution in 1979, his novel "The Zahir" was banned there (2005). 6 Considered one of the greatest writers in Brazil. Brida 1998 TV Series novel "Brida"
Paulo Coelho's Best Story 2014 writer: "Não Pare Na Pista", "Meu Amigo Pedro", "Sociedade Alternativa", "Al Capone", "Tente Outra Vez", "Gita"
Buddies 2012 writer: "Água Viva", "Tá na Hora", "Moleque Maravilhoso", "Sociedade Alternativa", "Tu És o Mdc da Minha Vida"
Rita Lee: Acústico MTV 1998 Video writer: "Gita"
Os Mansos 1976 segment "O Homem dos Quatro Chifres"